Let’s say you’ve been appointed as head organizer for your school’s annual spring musicale. However, there aren’t a lot of members in the school’s drama club. You would need more people to make it happen. With that in mind, you decide to post a sign-up sheet in pdf in the school’s bulletin board. Soon enough, the sheet is filled with a list of names in response to the casting call. 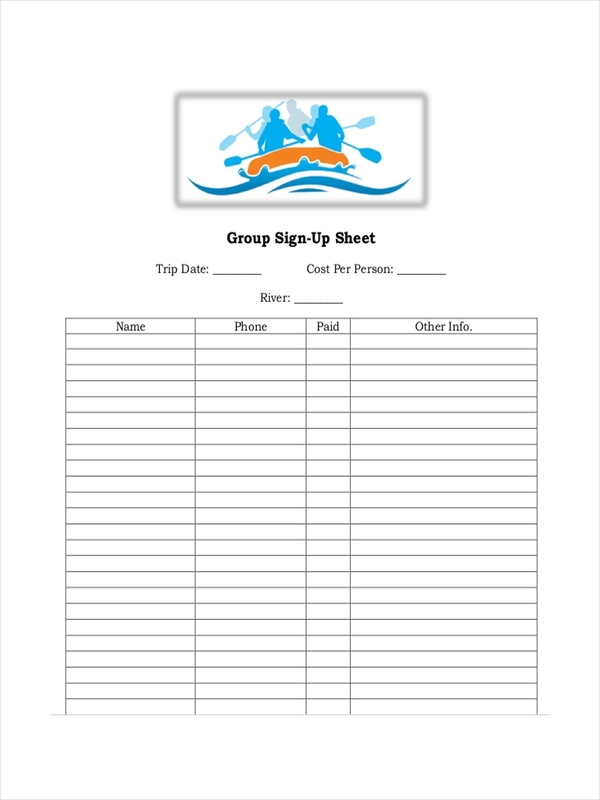 With the sign-up sheet, you were able to effectively reach a wider audience. 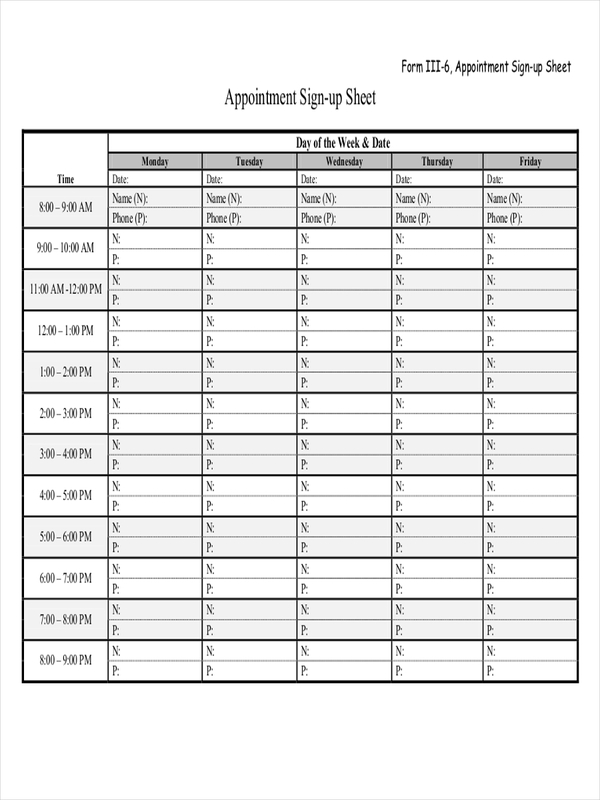 What Is a Sign-Up Sheet? 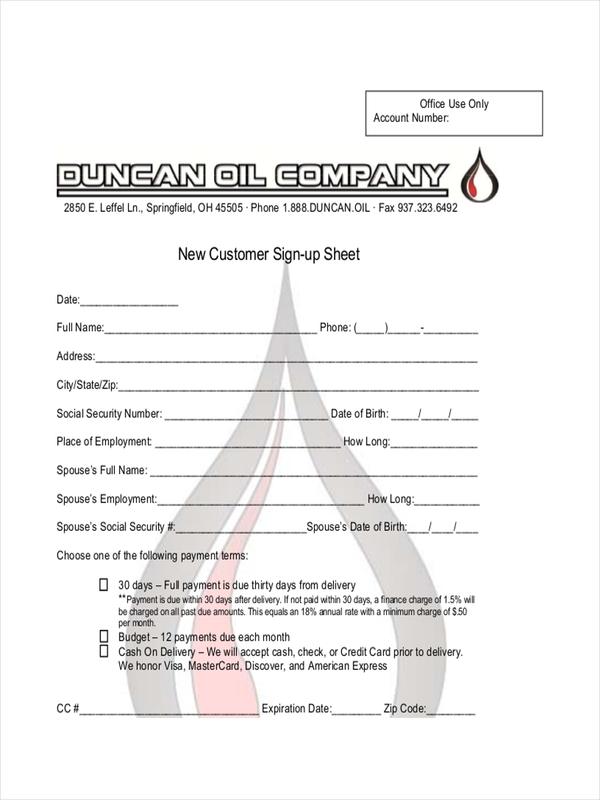 A sign-up sheet refers to a simple document that requires an individual to fill out the necessary details. What makes it different from the average small business form is that it only asks for a person’s basic information, specifically what is essential for the sheet’s purpose. A sign-up sheet is similar to the sign-up forms that we encounter in various social media applications whenever we want to enjoy what it has to offer. Other sheet examples may also be used in obtaining and disseminating information. 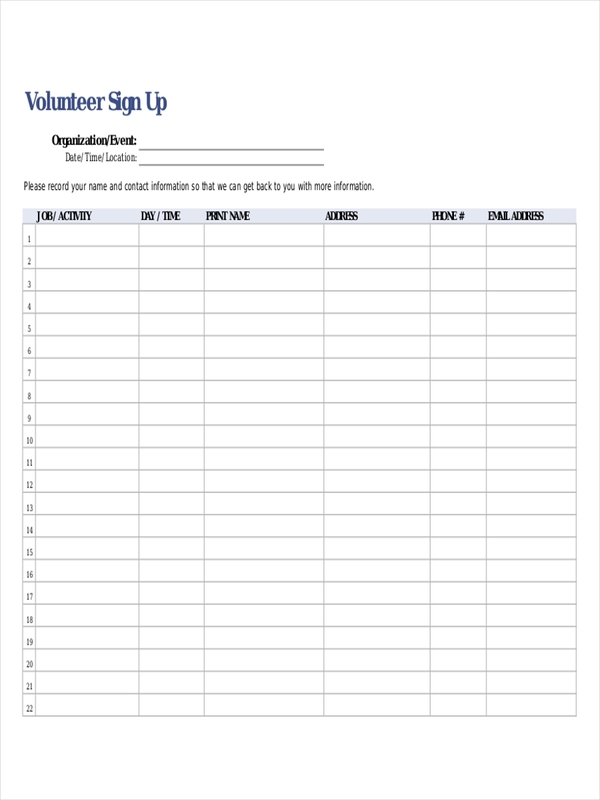 How to Make a Sign-Up Sheet? 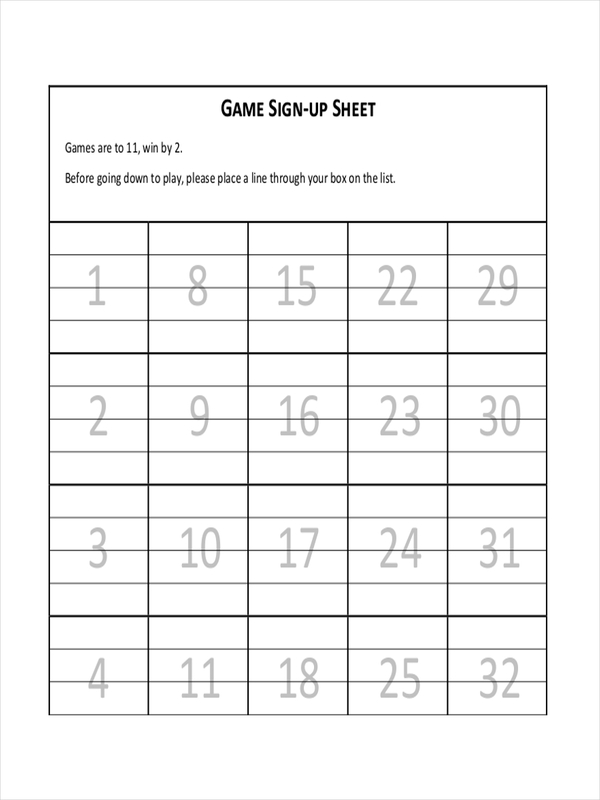 Fortunately, sign-up sheets are very easy and inexpensive to make. 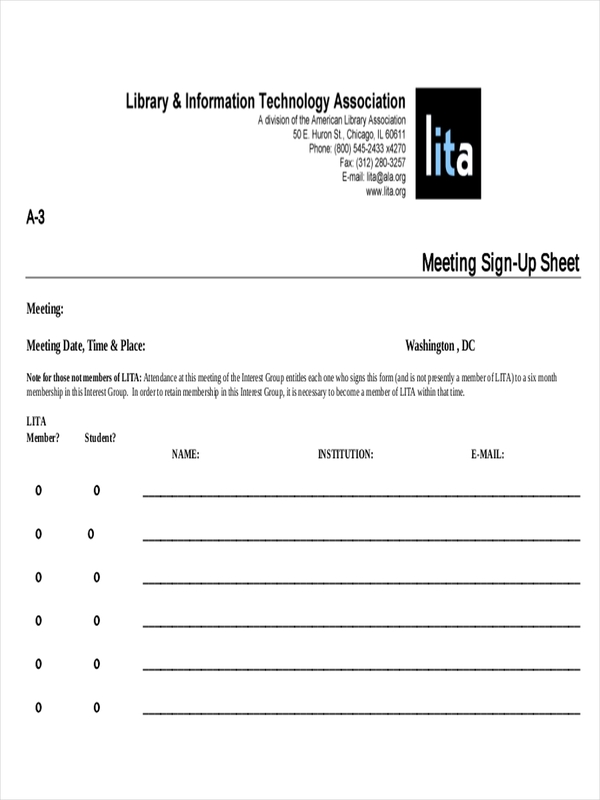 Some sign-in sheets may only be utilized individually while others can be used by multiple individuals. Keep in mind that the individual sign-up sheet obtains more information than the latter. It’s important to take note of what information must be obtained. This way, it will be easier for individuals to sign-up. 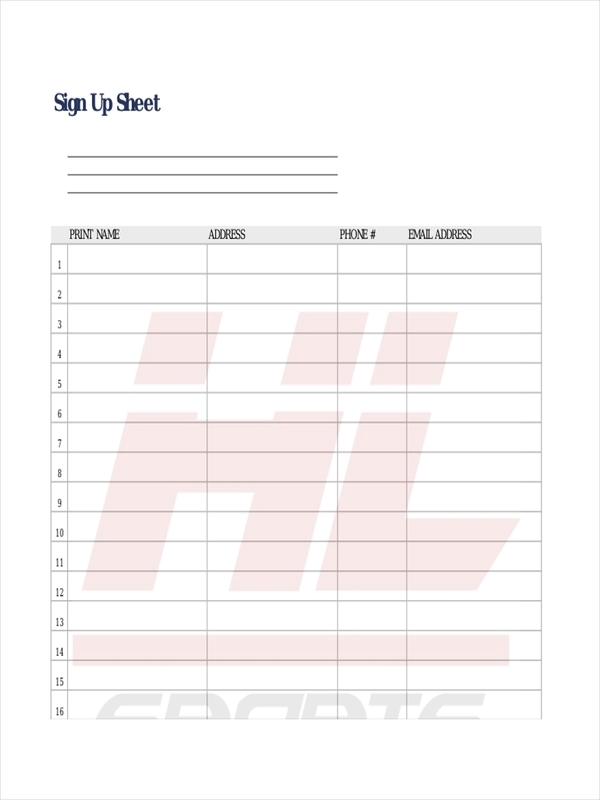 Your sign-up sheet must have a considerable amount of space provided for a person’s information. Make sure that they are organized properly so nothing would be missed. 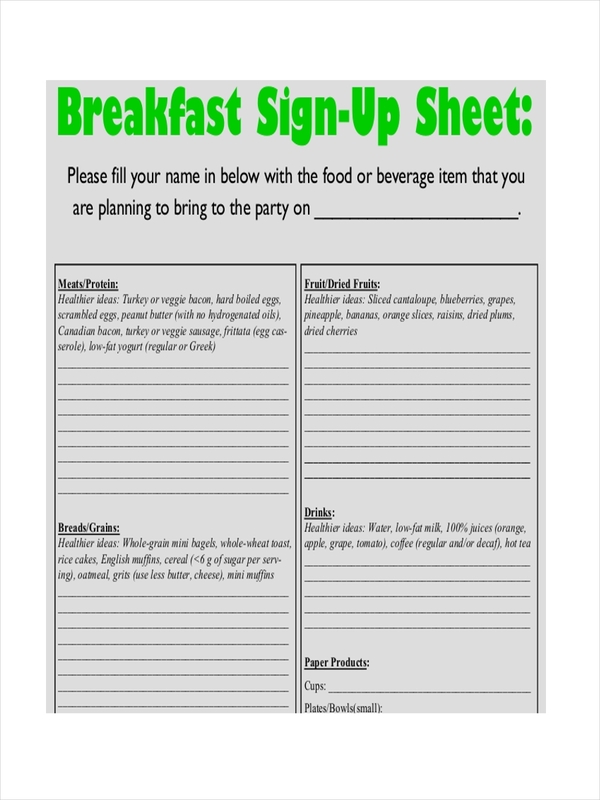 The best thing about a sign-up sheet is that you get the job done without much effort. 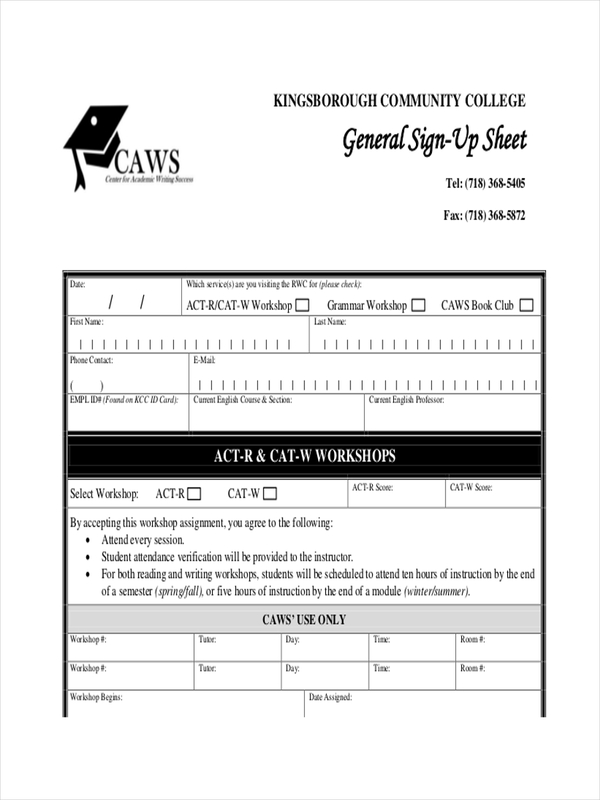 Sign-up sheets are used to gain useful information by allowing a particular audience fill it with their personal essay details. 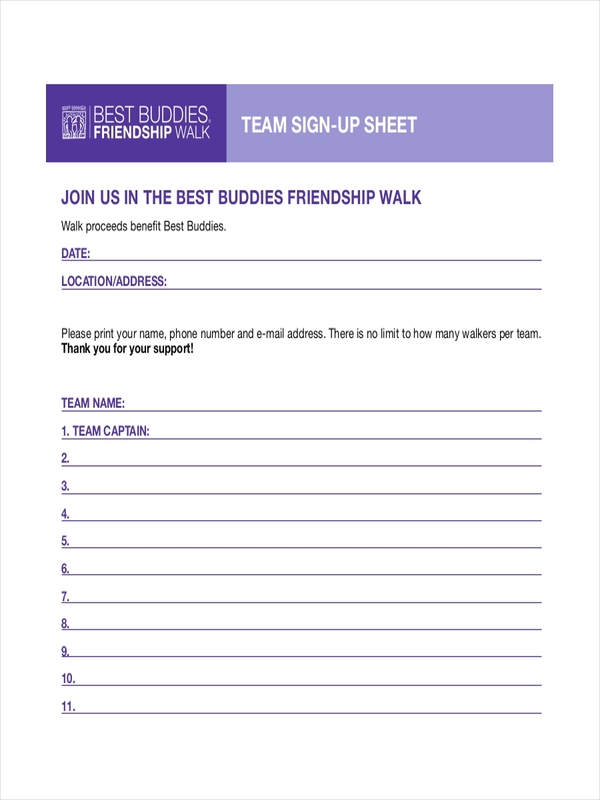 For most nonprofit organizations, people are invited to take part by signing up as volunteers. This is usually done as the first step. After which, the organization may go through the list, contact those who have signed, and conduct various screenings. 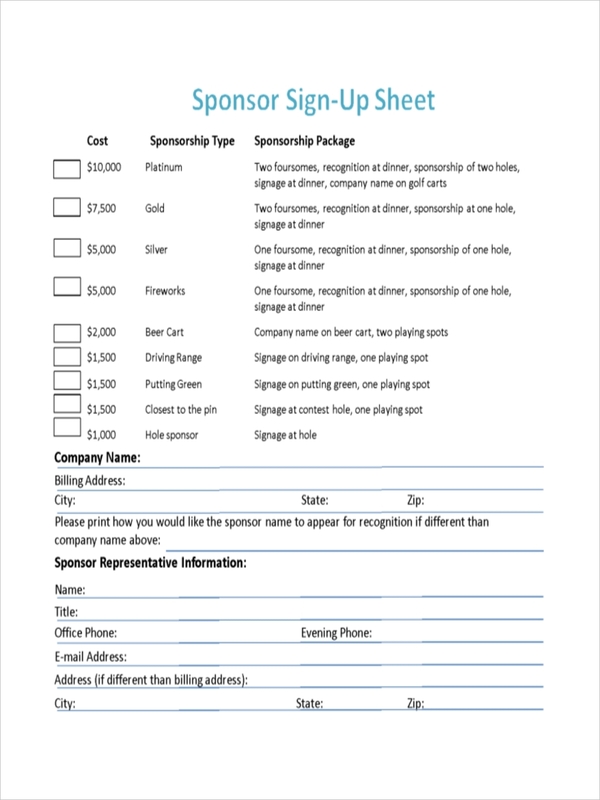 A sign-up bid sheet is considered to be less intimidating than filling up an actual business form making it more inviting for people to take part. Include a title. The title of the sheet should reflect the purpose of such. Provide clear instructions or guidelines. Whether these are terms and conditions that a person must know before signing or a brief disclaimer that they need to be aware about, it’s essential to include these bits of information in your sheet. Use proper numbering. 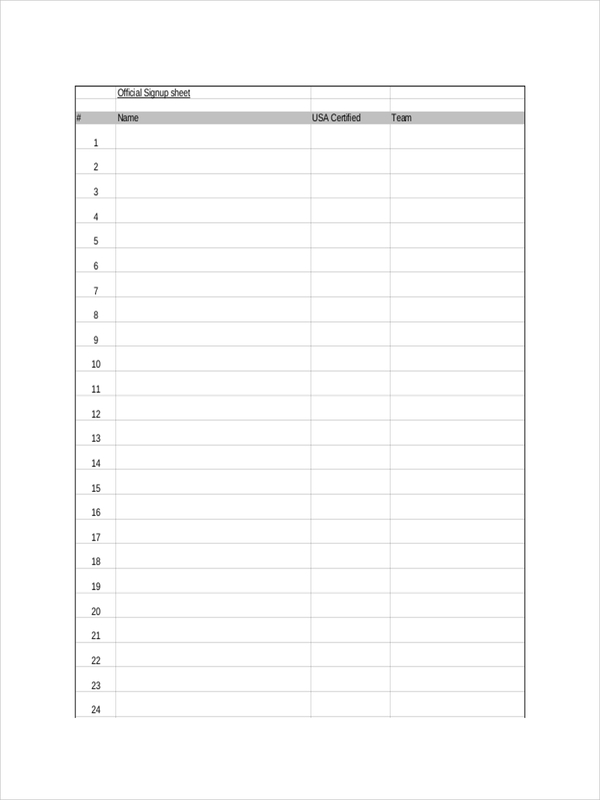 For sign-up sheets that allow multiple entries, using proper numbering will allow you to easily monitor the number of people that have signed. Arrange items into categories. Using a table with labels on each column’s heading will make it easier for you to store each data. It will also properly guide those who are signing.